Katlego Maphai is somewhat surprised that he started his own business. 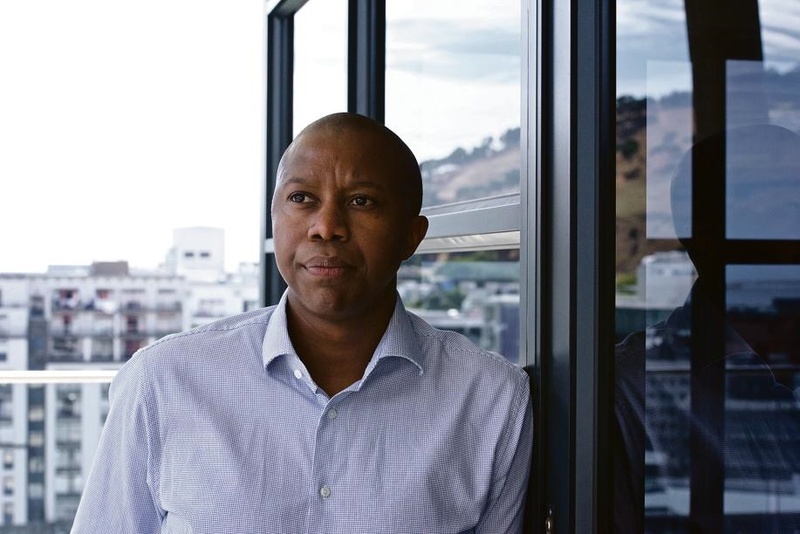 After getting a degree in business science from the University of Cape Town and then taking several jobs in business consultancy, he thought he would remain a corporate animal. However, while working with a few dynamic companies in high-growth areas in Africa and the Middle East, he was inspired by their ability to do “extraordinary things”. When it became time to pay, he thought they would have to use cash, but to his surprise, the waitron allowed them to pay with a credit card. She took out an Android phone, plugged in Square – a device that can facilitate card payments – and their meals were paid for. He realised South Africa needed something similar and later that year went about creating Yoco – a card-reading business that works similarly to Square – with some friends. Though several card-reading businesses that are independent of the banks have taken off over the past few years, Maphai says Yoco is different because it’s focusing on taking this kind of payment into places such as townships, where they are not ubiquitous. This has seen it come up with a different way to offer its services. For instance, they thought cost and technology issues would be their biggest challenges. Banks would insist on six months of trading history and only support businesses in locations they approved of, says Maphai. Other card-payment companies would insist on lengthy contracts and lock customers into renting card machines. For its part, Yoco does credit checks within minutes, sells the devices and delivers them within a few days. It has no fixed contracts and charges a fee on a sliding scale based on revenue. The way he and his partners see it, there are businesses (such as the BBQ diner that sparked the idea) that can be transformed by using Yoco. Some businesses that only traded on weekends have become full-time operations, says Maphai. Yoko is planning on signing up 5 000 clients by the end of the year and has ambitions of having 100 000 by 2022. Maphai says despite the widespread use of payment cards, only about 300 000 out of over 4 million businesses in South Africa accept card payments. It wants 68% of the businesses it has signed up to be transacting at least once a month. Getting them to transact regularly suits Yoco, because it means they become more sustainable. Having more card transactions has an added benefit. It will allow Yoco to spot trends and also to eventually see it integrate its offering into loan services, accounting packages and inventory management systems.